Welcome to the Houston Center of Self Realization Fellowship, which serves families and friends in the greater Houston area through weekly devotional and meditation services. The Houston Center is composed of devoted local members and friends of Self-Realization Fellowship, a worldwide, non-profit religious organization founded by Paramahansa Yogananda in 1920 to teach scientific techniques of meditation that lead to a direct, personal experience of God. The Center is open to the public for services and special activities. You are invited to attend our services and welcome to stop by our bookroom to find out more about the teachings of Paramahansa Yogananda and our activities. The meditation techniques taught by the fellowship are available in a series of lessons mailed from our international headquarters in Los Angeles, California. These lessons contain techniques of recharging the body, concentration, meditation, and the higher technique of Kriya Yoga, as well as instructions on how to live a balanced material and spiritual life. 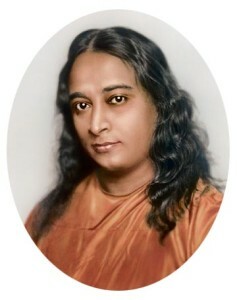 As an introduction, we suggest that you read Paramahansa Yogananda’s Autobiography of a Yogi. Copies of this spiritual classic are available in our Bookroom, in bookstores and public libraries, and is now available online.